Toronto police issued a public safety alert two weeks ago after seven people died in suspected overdoses believed to be caused by opioids. Test results are being expedited as they usually take months. Ontario doesn't even keep accurate records and the number of deaths in 2018 is unknown. 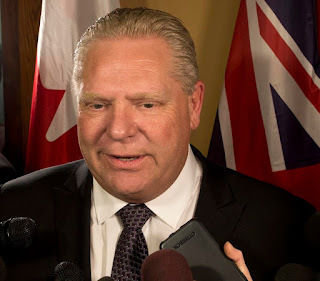 Premier Doug Ford called overdose deaths a tragedy and agreed that the province is facing a “crisis.” Ontario Health Minister Christine Elliott said three supervised consumption sites are now on hold. Sites set to open in Thunder Bay, St. Catharines, and Toronto were being put on hold as the government conducts a review to determine if such facilities will continue to operate in the province. A decision on the sites will be made by the end of September. A group of Toronto activists has opened an unsanctioned overdose-prevention site in defiance of Ford, saying his government is putting lives at risk.